We are arrived at the end of MOOC4EU project (Minorities, Tool, Orientation, Cooperation for a European Dialogue), that shows one more time that European projects give the possibility to reach a “savoir-faire” and to increase knowledge, skills and attitudes. We will keep the public informed about citizenship, their rights, and their possibility of commitment and about the influence of European politics through the methods given by our partners. 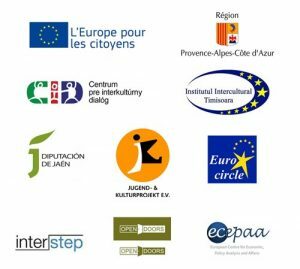 Thanks to the exchange of good practices between the 9 partners: La région PACA ; Diputacion Provincial de Jaen (ES) ; Interstep (DK) ; Ju-gend & Kulturprojekt e.v (DE) ; Institutul interculurel Timisoara (RO) ; Centrum pre Interkultumy dialog (SK) ; European centre for Analysis and Affairs (BE); Qendra Open Doors (DE), we were able to guide minorities citizenship through the analysis of their needs and the collection of advice intended for local and European politics. We worked on specific issues such as minority involvement in civil and politic process, employability and education, migration and mobility, social inclusion etc, and we have realized a defense speech presented in Brussels, at the European Parliament by European communities participating into the MOOC project. The project goes with eight pedagogical videos (from 6 to 8mn) easy to reach on the internet. These videos explain through the dialogue between citizens and professionals how Europe works and the rights of European citizens. These videos have been made by the partners of the project and are meant to be the completion of the project without being its end since they are a pedagogical output to be used to inform people who have difficulty to reach information. The project impact: quantitatively speaking there are 420 persons that have benefited from the content, the indirect beneficiaries are even more. The benefit of the project and of its method is extended through multiples projects shared by the partners whose goals are to work with a more specific public: minorities, people with foreign origins, representatives of locals and nationals politics in order to facilitate social, educational and professional integration. Eurocircle works with Slovak partner on CLOSER project (to facilitate integration of a public in a situation of social exclusion) http://eurocircle.fr/closer-rethinking-social-inclusion/ ; and works with the Belgium partner on SHIP project (to support school success of children whose parents are not French and don’t know how works the French school system) http://eurocircle.fr/ship/ . 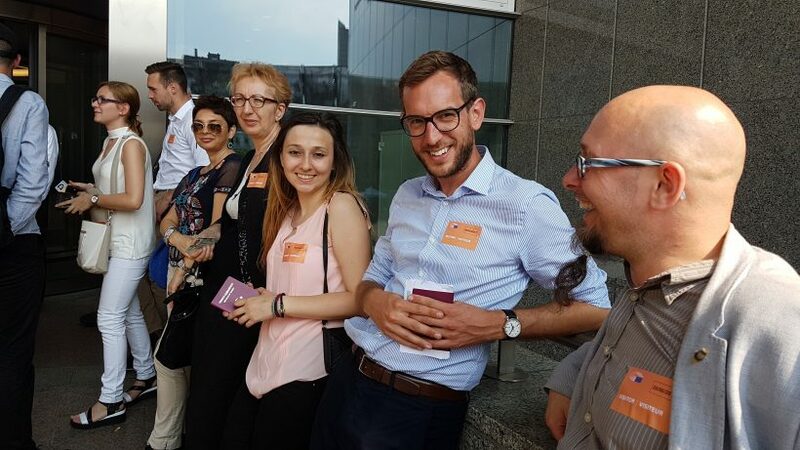 Eurocircle has also answered a call for project with an Italian partner through European programme AMIF«Asylum, Migration, Integration Funds». ← Eurocircle was in Silves, Faro, Portugal for the project SHIP!